The recent hurricane that hit the eastern states in the U.S. was an eye opener for some us. Many of us have moved to these areas to avoid some of the issues that the western states have to deal with. While we can’t stop hurricanes from coming our way, we all can be as prepared as possible for what could be coming our way. 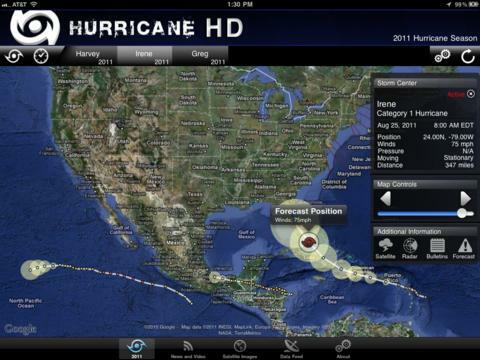 Hurricane HD is handy tool that lets you keep track of hurricanes on your iPhone and iPad. 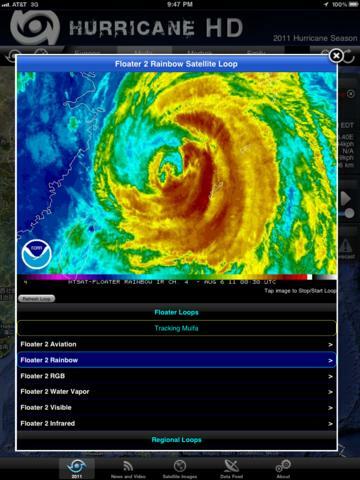 Hurricane HD has a beautiful interface that keeps you up to date with the latest news on bad weather coming your way. 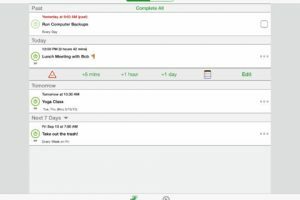 It shows you 5 day forecasts in your location and includes useful information such as estimated wind speed. Storm direction, pressures, and other characteristics can be tracked using the maps in this app. Hurricane HD includes animated radars for your region. 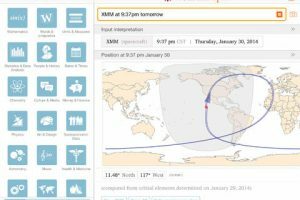 It even shows you where winds are coming from and whether they will hit your place at all. If you are tired of the way the media reports on hurricanes and want to get the facts on your iPad, Hurricane HD has you covered.